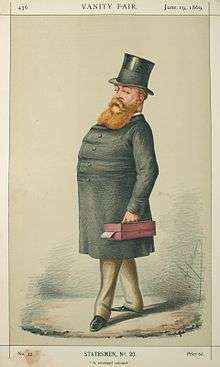 Hugh Culling Eardley Childers (25 June 1827 – 29 January 1896) was a British-Australian Liberal statesman of the nineteenth century. He is perhaps best known for his reform efforts at the Admiralty and the War Office. Later in his career, as Chancellor of the Exchequer, his attempt to correct a budget shortfall led to the fall of the Liberal government led by William Ewart Gladstone. Childers was born in London, the son of Reverend Eardley Childers and his wife Maria Charlotte (née Smith), sister of Sir Culling Eardley, 3rd Baronet and granddaughter of Sampson Eardley, 1st Baron Eardley. He was educated at Cheam School under Pestalozzi and then both Wadham College, Oxford and Trinity College, Cambridge, graduating B.A. from the latter in 1850. Influential on his intellectual development was Adam Smith's theories of free trade, and capital returns. 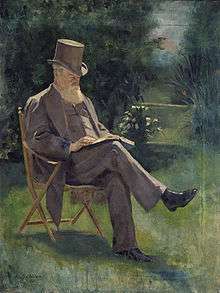 Childers joined the government of Victoria and served as Inspector of Denominational schools (meaning Protestant schools) and immigration agent. In 1852 he became a director of the Melbourne, Mount Alexander and Murray River Railway Co. Childers became auditor-general on 26 October 1852 and was nominated to the Victorian Legislative Council. In 1852 he placed a bill before the state legislature proposing the establishment of a second university for Victoria, following the foundation of the University of Sydney in 1850. With the receipt of the Royal Assent in 1853, the University of Melbourne was founded, with Childers as its first vice-chancellor. Childers was Collector of Customs from 5 Dec 1853 to 28 November 1855 and Commissioner of Trade & Customs 28 November 1855 to 25 February 1857. Childers was elected to the inaugural Victorian Legislative Assembly for Portland in November 1856, a seat he held until resigning in February 1857. Childers retained the vice-chancellorship until his return to Britain in March 1857 and received a M.A. from Cambridge the same year. 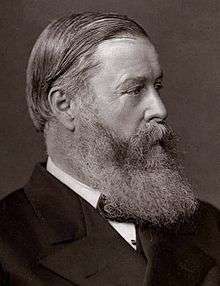 In 1860 he entered the House of Commons as a Liberal member for Pontefract, and within a few years joined the government of Lord Palmerston, becoming a Civil Lord of the Admiralty in 1864 and then Financial Secretary to the Treasury (a significant role) in 1865. Childers was responsible for the construction of HMS Captain in defiance of the advice of his professional advisers, the Controller (Robinson) and the Chief Constructor Edward James Reed. HMS Captain was commissioned in April 1870, and sank on the night of 6/7 September 1870. She was, as predicted by Robison and Reed, insufficiently stable. "Shortly before HMS Captain sank, Childers had moved his son, Midshipman Leonard Childers from Reed's designed HMS Monarch onto the new ship-of-the-line; Leonard did not survive." Childers "faced strong criticism following the Court Martial on the loss of HMS Captain, and attempted to clear his name with a 359 page memorandum, a move described as "dubious public ethics". Vice Admiral Sir Robert Spencer Robinson wrote 'His endeavors were directed to throw the blame which might be supposed to attach to himself on those who had throughout expressed their disapproval of such methods of construction'." Childers unfairly blamed Robinson for the loss of the Captain, and as a result of this Robinson was replaced as Third Lord and Controller of the navy in February 1871. "Following the loss of his son and the recriminations that followed, Childers resigned through ill health as First Lord in March 1871." Childers' 1894 report was still considered influential in 1925 in considering the mutual financial positions between the new Irish Free State and the United Kingdom. In 1926 an Irish Senate debate included claims by some Senators that, with compound interest, Ireland was owed as much as £1.2 billion by Britain. This, however, ignored the changed economic conditions since 1894, and at the eve of secession Southern Ireland was being heavily subsidised by the British taxpayer. This economic reality forced the initial Irish Free State government to cut the old age pension from five to four shillings. Childers married Emily Walker in 1850. They had six sons and two daughters. One of their daughters, Emily "Milly" Childers, was a portrait and landscape painter. Emily died in 1875. Childers married Katherine Anne Gilbert in 1879. A cousin, Robert Erskine Childers, was the author of the famous spy novel The Riddle of the Sands, an important figure in the Irish War of Independence and Irish Civil War (during which he was executed), and father of the fourth President of Ireland, Erskine Hamilton Childers. 1 2 3 4 Hall, H. L. (1969). "Childers, Hugh Culling Eardley (1827 - 1896)". Australian Dictionary of Biography. Canberra: Australian National University. Retrieved 8 September 2010. ↑ "Childers, Hugh Culling Eardley (CHLS847HC)". A Cambridge Alumni Database. University of Cambridge. ↑ Sweetman, Edward (1920). 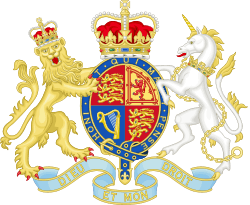 Constitutional Development of Victoria, 1851-6. Whitcombe & Tombs Limited. p. 182. Retrieved 31 July 2014. 1 2 "Childers, Hugh Culling Eardley". re-member: a database of all Victorian MPs since 1851. Parliament of Victoria. 1 2 3 4 5 HMS Captain website biography of Hugh Childers. "Childers, Hugh Culling Eardley". Encyclopædia Britannica (11th ed.). 1911. Carr, William (1901). "Childers, Hugh Culling Eardley". In Sidney Lee. Dictionary of National Biography, 1901 supplement​. London: Smith, Elder & Co.